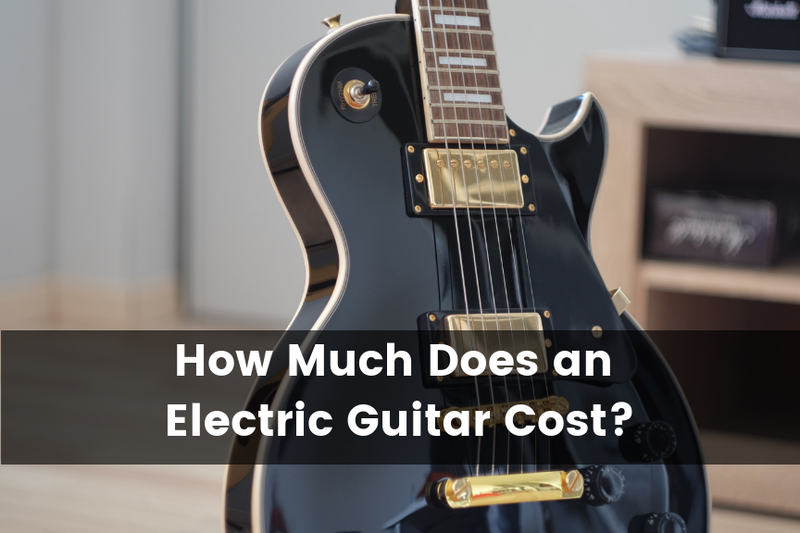 If you’re in the market for a new guitar, then understanding which electric guitar brands have the best resale value can help save you a lot of trouble down the line. As someone who regularly buys and sells guitars (because I easily get bored), I can confidently say that understanding the resale market can save you a lot of time and money when you go to trade your guitar in. After reading this post, you’ll know exactly which guitar brands retain their value, and which brands don’t, so you can make more educated purchasing decisions. 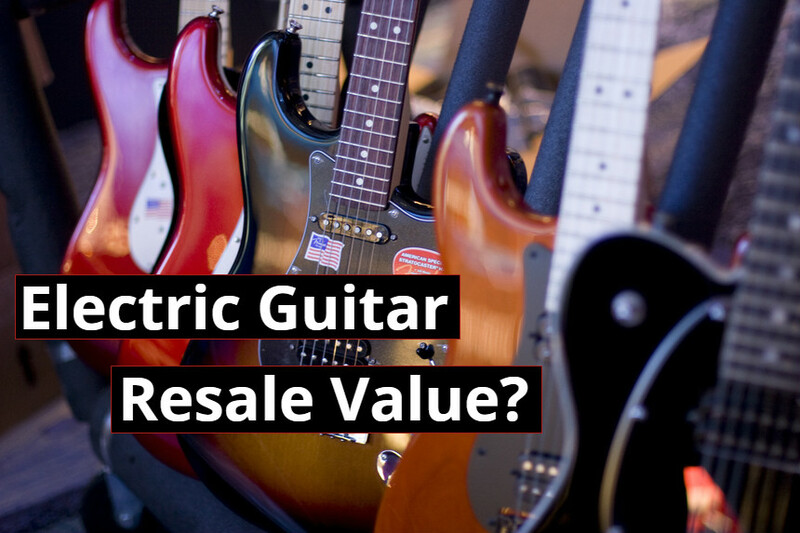 What is Guitar Resale Value? 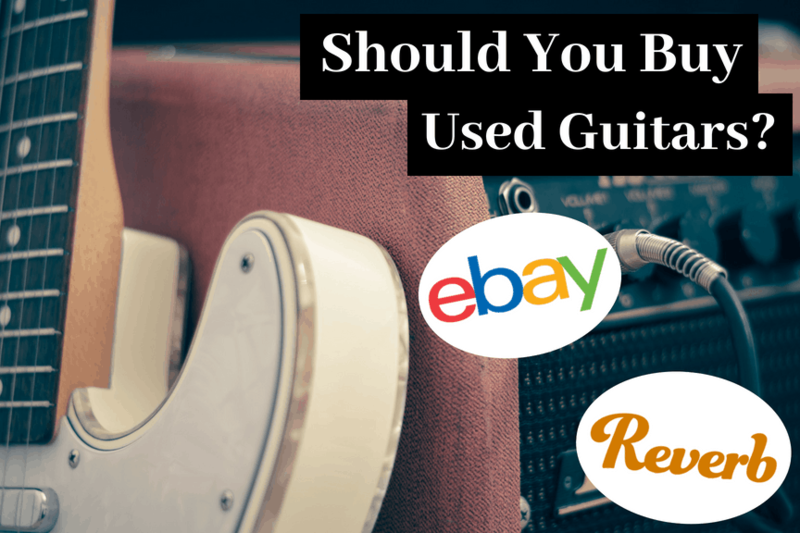 Why is Guitar Resale Value Important? Guitar resale value is simply the price that you can sell your guitar for in the future. Essentially, it’s the price that you’ll be able to sell a guitar on the used market for relative to the price of the guitar new. 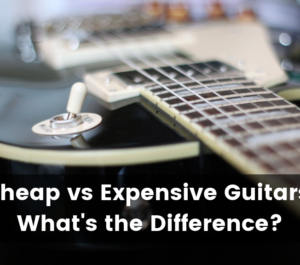 Keep in mind that a guitar is NOT an investment. It’s similar to a car in the sense that as soon as you drive it off the lot, it loses value. You typically won’t be able to buy a guitar new and resell it for a higher price than you bought it. As a result, when we’re referring to guitar resale value, we’re really talking about how well a guitar retains its value. On the used market, guitars will typically sell for around 50-60 percent of their price new. If you can trade in your guitar for higher than that, then you’re in a pretty good spot. Another important thing to consider when we’re talking about guitar resale value is the actual demand for the guitar. This greatly impacts your ability to sell on the used market. Certain brands are inherently easier to resell online because everyone knows about them, and wants them. For example, if you create a posting for a Gibson guitar, you’ll probably get tons of offers in no time at all. Whereas, if you’re trying to sell a guitar from a brand that’s relatively unknown, you’ll get nothing but crickets until you significantly drop the price. It’s simple supply and demand. If the supply is low and the demand is high, then you can sell for a higher price. If the demand is low and the supply is high, then you’ll need to lower the price to get people to buy. If you’re buying a new guitar, then chances are that you won’t be keeping it forever. 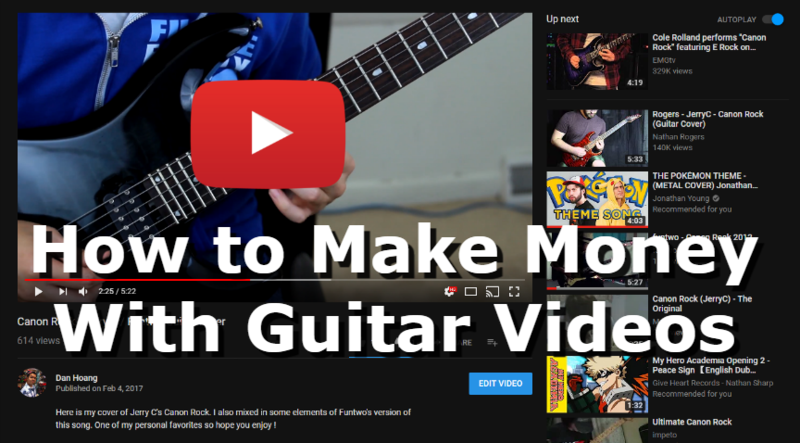 At some point in your guitar playing career, you’ll probably want to upgrade to something better, or just change your setup to keep things exciting. It’s important to understand a guitar’s resale value so you can buy with confidence and know that you’ll be able to sell it in the future at a decent price. The last thing you want is to end up being stuck with a guitar you’re sick of because you can’t sell it. On the other hand, if you know which electric guitar brands don’t retain their value, you could potentially snipe an amazing deal on a used guitar. There are brands that make extremely high-quality guitars that people just don’t know about. These hidden gems present an amazing opportunity for buyers in the used market since they have terrible resale value. Since the demand for these guitars is low, you have a lot of room to negotiate price. In some cases, you could get yourself a custom-made guitar that sells for $2000-$3000 new for a fraction of the price. Here is a list of electric guitar brands that have the best resale value. If you decide to purchase one these guitars, then you should be safe to trade them in down the line if you ever want to upgrade or swap out your gear. Gibson guitars are hands down the best guitars in terms of resale value. Everyone and their mother know the brand, so it’s the first thing people think of when they’re in the market for a guitar. Gibson guitars have several iconic guitar models such as the Gibson Les Paul and the Gibson SG. These guitars retain their value very well when you’re selling them on the second-hand market. From my personal experience, I bought a Gibson Les Paul guitar new for about $3000. Then, I ended up selling it on Reverb for $2550. This means that this guitar ended up retaining 85% of its value, which is very good. In addition, it sold fairly quickly. Keep in mind that expensive guitars will naturally take longer to sell than cheap guitars, as people will always be more hesitant to pull the trigger on large purchases. That being said, I sold the guitar within one week of posting it online, with several offers. Fender is quite possibly the most popular electric guitar brand next to Gibson. The demand for Fender Stratocasters and Fender Telecasters will never go away simply because of how versatile these guitars are. If you purchase an American Stratocaster, you can be sure that someone will be ready and willing to buy it off from you when it’s time to sell it. From my experience, I find it pretty hard to find a good deal on a Fender Stratocaster used unless it’s a very old model. This means that they retain their value very well. I typically see them go for 80-90 percent of their new price on sites like Reverb (with obvious exceptions depending on the seller). You can negotiate for lower prices if you’re looking to buy a used one, but just know that the demand for these guitars is high, so they’ll likely have plenty of offers coming in. From the perspective of the seller, this is great news as you guitar will surely retain its value over time. Keep in mind that Gibson and Fender are in a class of their own in terms of resale value. These are the two giants that retain their value the best out of any guitar brand. There are other brands that have good resale value as well, but they’re all typically one step behind Gibson and Fender in terms of how well they retain their value and how easy they are to sell. Ibanez guitars are tricky in terms of resale value. They are obviously one of the most well-known, established electric guitar brands out there. However, their line of guitars can be pretty confusing. Their model numbers that distinguish their guitars are pretty ambiguous and many of their popular guitars look exactly the same, as they’re either the Ibanez RG shape or the S shape. With that being said, if you have an American Custom or Japanese Prestige model, then they tend to retain their resale value pretty well. They typically resell for 65-70 percent of their new price. The only problem is that you might have a difficult time selling it (or it will take longer at least). Since Ibanez doesn’t have one specific model of guitar, like the Gibson Les Paul, but rather various different models of similarly shaped guitars, like the RG shape, there might not be a strong demand for the exact model that you have. In my opinion, Paul Reed Smith guitars have established themselves as one of the top electric guitar brands out there. Their unique shape has become an icon among electric guitars that are instantly recognizable, similar to Fender and Gibson guitars. I’ve bought and sold many American PRS guitars as well as budget PRS guitars from the SE line. These guitars hold their value surprisingly well, considering how expensive the top of the line guitars are. Keep in mind that American made guitars might take longer to sell without reducing the price. On the other hand, the PRS SE guitars are fairly easy to sell as there is decent demand for them, and most people understand how good of value they are. Here’s a list of guitars that don’t have good resale value. However, this definitely does not mean that these guitars bad. On the contrary, it’s quite the opposite. These guitars are every bit as good as the top brands in terms of quality but aren’t as well known. As a result, the demand for these guitars is typically lower. This presents an awesome opportunity for you to get an amazing guitar at a huge discount when buying used. Ernie Ball Music Man is actually one of my favorite brands ever. Music Man guitars are known for their excellent build quality and playability. The only problem is that not a lot of people know how amazing they are. Though they have been gaining popularity as of late, they aren’t on the same level as the other giants in the industry. My primary guitar is an American Ernie Ball Music Man Majesty. 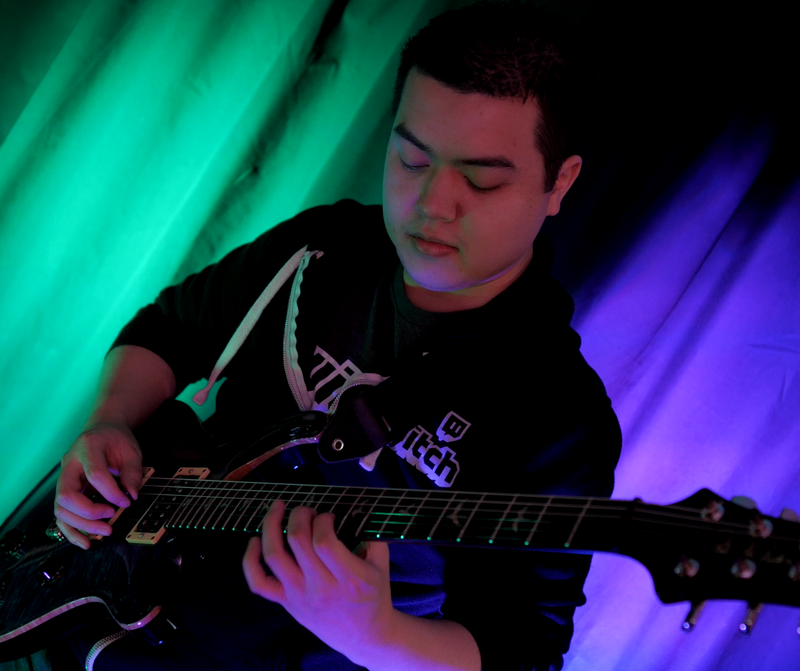 This guitar sells for about $3,000 new, but I got mine for about $2,000 used. This means that the guitar retained about 66% of its value, which doesn’t seem too bad at first glance. The problem is that the post on Reverb was up for over one year before I finally bought it. This is definitely something you want to keep in mind when purchasing a Music Man. You can get an excellent price, but they’ll take forever to sell at a reasonable price. Kiesel Guitars, formerly Carvin Guitars, is an American guitar brand that specializes in creating custom guitars at affordable prices. Their guitars are exceptional quality, but since they are customized to each individual user’s preferences, they have low resale value. When I purchased my Kiesel Aries Guitar, the guitar sold for roughly $1700 new based on it’s configuration. I managed to buy this guitar for $800 used, which is insane value for an American-made guitar with this level of quality. This means the guitar only retained about 47% of its value. Mayones is a European brand known for making extremely high-quality guitars, mostly for metal. Since these guitars are handcrafted in Poland, you’ll be hit with an international shipping fee if you’re buying from the US. Even if you are fortunate enough to live by an authorized seller in the United States, the price will likely be marked up to compensate. As a result, these guitars aren’t very well known in the United States, and the demand for them is pretty low. This means you might be able to get yourself a nice deal if you play your cards right. If you look for these guitars on eBay or Reverb, you’ll likely see ridiculously high price tags upwards of $4,000. However, these guitars are very hard to sell in the United States, as there are other American made alternatives that are more or less on par in terms of quality, but much cheaper without international shipping. I managed to purchase my Mayones Duvell 6 Elite for about $2,300. The listing was almost a year old, so it made it easy to negotiate price. Understanding guitar resale value and prove to be vital down the road when it’s time trade in your guitar. I hope you learned something from reading this article that you can apply to your own purchases. Keep in mind that this list is only speaking from my personal experience. There are many guitar brands that I have never owned or sold. Please feel free to leave a comment letting me know which brands you feel should be included on this list.